A Stitch in Time, Can Change Human Lives! Help us position the fashion industry as a leader in ethical, sustainable practices that will serve as a model for other industries to follow. 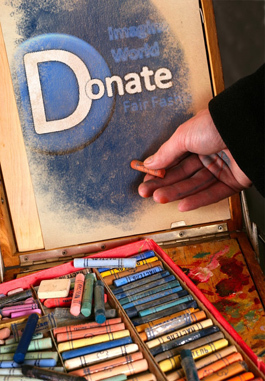 Bona Fide Fair Fashion™ is not a product but a global movement. With each donation, you help us educate the consumers of the “true cost” of cheap fashion in addition to insisting that brands and retailers focus on a sustainable and eco-friendly future for their brand and for the industry. Only a global solution will effectuate the real change necessary to make a difference.